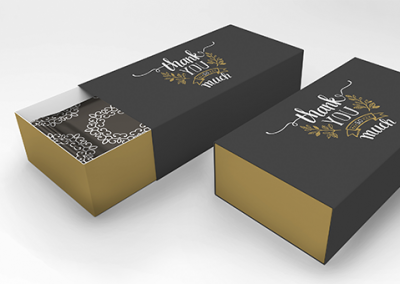 We love designing customised and innovative packaging. So whether you need a match box or a large carton, our team can design to your measurements and produce quality results with our box printing and die-cutting processes – available in both large and small runs. We’ll think outside the box for your box. Get a dieline designed to fit your product, and produce unique cases for one-off campaigns or a special event. 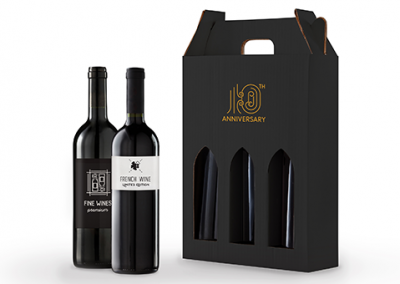 For corporate gifts or wine promotions. We have single, twin and triple wine bottle cases available for customisation with no minimum run length.